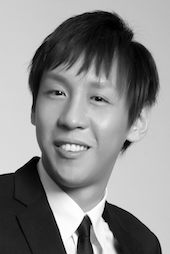 Eric Feng is the author of The FAQ Book on Public Speaking and Get to the Point. He is the Asia go-to-guy if you want to present with more confidence and charisma. Well-known for his fresh insights and results-driven programs, Eric has successfully coached over 3,000 managers and C-level executives in the area of public speaking and organisational storytelling. Eric is also internationally certified and recognised as a Professional Coach with the International Coach Federation. His first book titled The FAQ Book on Public Speaking sold over 8,000 copies and became a bestseller in 2008. Since then, he has been interviewed on Channel News Asia, The Straits Times, Lianhe Zaobao, Radio 93.8 and The Business Times for his speaking expertise. In 2007, Eric was also named as one of the top 25 young entrepreneurs of Asia by Business Week (USA).